How often do you complete your client workload? Like clockwork every week I am guessing. What about the work on your own business? Your blog posts, your email sequences, your sales pages, and all those other written pieces that will help to propel your business forward? I am willing to bet good money that your business pieces do not get done anywhere near as regularly as your client work, or serving your customers. For some reason, we seem to see working ON our business as less important than working IN it. But if you only work IN your business, you will reach a point where you can’t grow any further unless you start working ON it. As I mentioned above, you will not be able to move your business forward to the next steps if you are constantly consumed by your clients and customers. You certainly don’t want your client work to fall by the wayside as that is what is keeping your business going. But if it is your sole focus, your business will never move forward. When you set goals for your business, they are often focused on taking it to the next level, achieving great things, and building on successes. If you do not allow yourself the time to work on your business, then the chances of you achieving those goals are quite slim. If you do manage to, it will probably be by chance as opposed to good management, if you don’t carve out time for them. Sooner or later, you will reach a point in your business where you can’t possibly do any more and earn any more unless you grow. There will not physically be enough hours in the day to work more, therefore capping your earning potential. It is known as reaching your ceiling point. You won’t be able to break through the ceiling without working to grow your business. That could mean growing your team, scaling your business, or adding an income stream. You know when you start to feel like a hamster on a wheel? Where you are going around and around, every day is the same. Carving out time for your business can help you jump off the wheel, push forward and get out of the rut. How Can You Find Time For Your Business? Before you can allocate time to your business, you need to know what you are working with first. Examine your workload to see exactly what takes up your days, weeks and months. Check if you are wasting time with busy work. Could you do things more efficiently, or are there tasks you could remove from your plate? Then make a list of all your essential tasks so that you can refer back to it. You probably have some goals lurking around that haven’t had much progress made since you set them. Now it is time to look at those goals and see which one is going to drive your business forward the most. Select the goal that you want to focus on the most. Now that you have your workload on the page in front of you and your most important goal, it is time to make a priority task list that encompasses both. Create a task list that will allow you to keep up with your client work or customer orders. But also include the tasks that are going to help you move towards achieving the goals for your business. Now it is time to start ticking things off your list. Rank the tasks on your list based on urgency and priority. Make sure you complete the client work that is deadline specific, but don’t let it consume all of your time. Also, work on the priority tasks for your own business. Do one at a time, tick them off completely, and then move onto the next most crucial task. As you are trying to create a balance between your business obligations and your business growth, you need to be realistic with your time. There is only so much of it in a day, so don’t try and do too much. Set yourself realistic deadlines for completing the work on your business. Ensure that those deadlines do not interfere with your bread and butter client or customer work. Do you find it difficult to work on everything at the same time? Then try designating specified times to work on your business. Maybe carve out a set time every week, some evenings, a weekend, or any time that fits in with your schedule. This designated time can be precious and productive. It gives you permission to focus on your business, but doesn’t encroach on the time you need to keep your business running. When you are taking the time to work on your business, ensure you reduce the chance of any interruptions. Get out of your normal work area, turn off your phone and any notifications, close your inbox, tell co-workers or family that you are not available for a set period of time, and just focus on what needs to be done. Take the time to focus on your business and prioritise getting your content written. But if you truly are stuck for time to create your content, then why not let me do it for you. 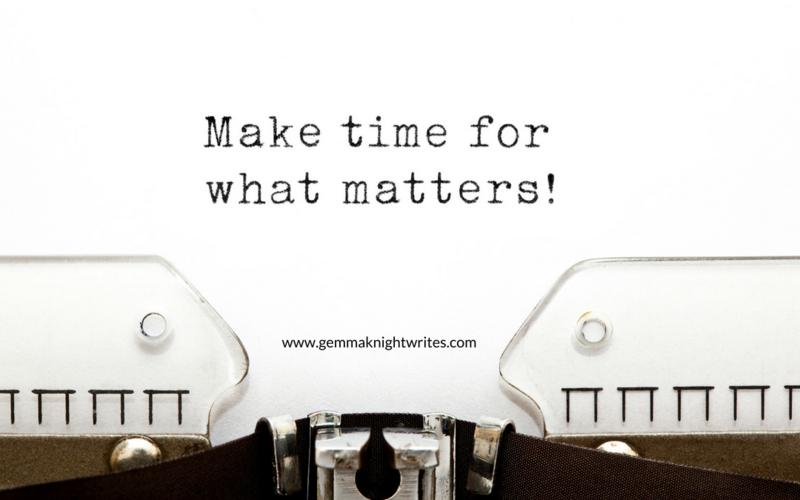 Email me on hello@gemmaknightwrites.com and we can chat about what you need. 5 Pieces Of Written Content To Outsource Right Now!